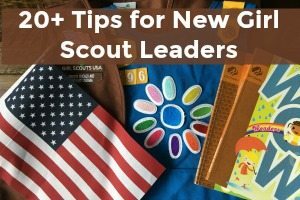 Inside: You'll find more than 20 awesome Tula Petal Ideas for Daisy Girl Scouts. Plan your next troop meeting with these courageous and strong crafts, activities, books and sample meetings. Affiliate links are used in this post. Okay, now it's on the the Tula Petal Ideas! Being courageous and strong is something we all want for our kids. I love that it is one of the core values of the Girl Scouts organization. For our Tula Petal meeting we started with the usual orders of business- attendance, and saying the promise, etc. Then during snack time we read the Tula story from the Daisy Girl Guide binder. The rest of the meeting was split into two parts. For the first half, my co-leader brought bags with gooey and strange things inside that they had to be “brave” enough to feel. For the second half, one of our girl's Tae Kwon Do instructors came to do a free Tae Kwon Do demonstration. Whether you have a connection to a martial arts instructor or not, this is a great meeting idea. Often times this is considered a promotional activity for the instructor and they are happy to do it for free if they are allowed to hand out brochures. Our girls were excited to bring home the info and to participate in the demo. Guatemalan Worry Dolls – These small dolls are a great hands-on project for Daisy Scouts. They are popular in Guatemala but have spread all around the world. The story behind the dolls is that each one represents the owner of the doll. Each night, it's placed under your pillow and it will take your stresses and worries. It's not seen as a remedy for either. 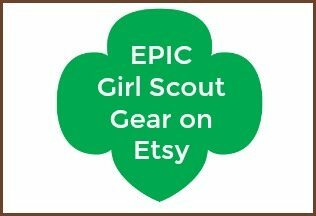 Daisy Girl Scouts Tula Petal Worksheet – Using these Daisy Girl Scout worksheets in conjunction with earning the petals is a great way for your troop to really think about the theme and message of the petal. It also captures your learners who may be quiet as far as speaking in front of the group is concerned and gives them a chance for their voice to be heard. These are a great way to once again reinforce the message and lesson being taught! Daisy Red Petal Superhero Word Search – For the Red Petal, your Daisy Girl Scouts will be learning all about what makes someone courageous and strong, but what are some great words that describe those? This word search has twenty of them! Obstacle Course – I love the idea of doing a physical activity for the courageous and strong activity- hence our Tae Kwon Do demo- but this is another fun way to get physical! Try something new – singing or foods – Singing in front of other people and trying new foods are two things that can take a lot of courage. You can try one or both of these activities. In both activities, the girls have opportunities to be courageous and supportive. If you decide to try new foods with your troop, be sure to ask parents ahead of time about any food allergies their child may have. Watch ‘An American Girl: Chrissa Stands Strong' – Starting a new school can be a scary change, one that definitely takes courage and strength. In “Chrissa Stands Strong”, Charissa changes schools, making her the new kid – which leads to her being bullied. Following the film, it's a good idea to have a discussion with your Daisy Girl Scouts about bullying – what it is, why it's wrong, what to do if you or someone else is being bullied, etc. Even sticking up for another bullied child takes strength and courage. Giraffes Can't Dance – Imagine being as tall as a giraffe. You might be a little wobbly on those big tall legs, you hear that funky music and all you want to do is dance, but you're not ‘suppose' to because you're a giraffe. That's what happened to Gerald – but he wasn't having it. But he loves to dance so why shouldn't he? Gerald demonstrates his own courage and personal strength in this story. My Brave Year of Firsts: Tries, Sighs, and High Fives – As an adult, it can be a bit of time in between any big firsts for us, so we may forget how big those smaller firsts are to children and how much courage and strength they took. My Brave Year of Firsts goes through a bunch of firsts for Frankie. Here Come the Girl Scouts! 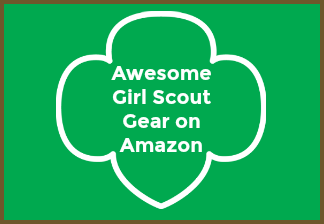 : The Amazing All-True Story of Juliette ‘Daisy' Gordon Low and Her Great Adventure – Juliette Gordon Low wasn't like most girls – she wanted to be outside, on adventures, and exploring! This is a very inspiring story that is easily accessible for the Daisy Scout age range. JoJo's Flying Sidekick – JoJo is excelling in her Tae Kwon Do class but there's something at home that worries her. She'll find the courage to stand up to her fears – conquering anything that stands in her way. 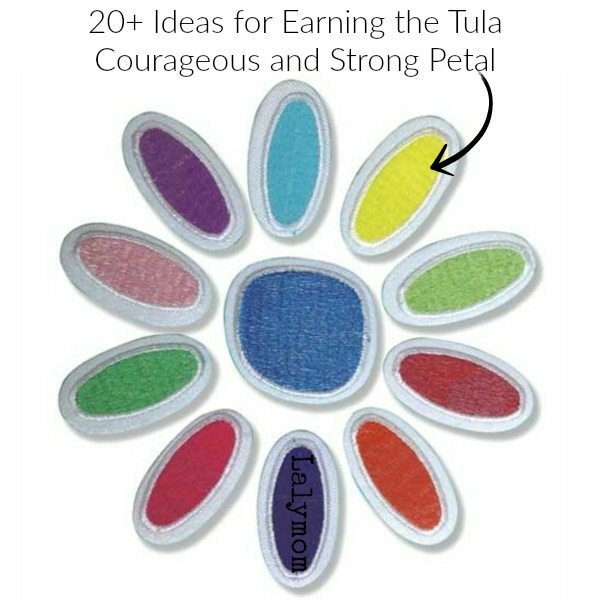 What was your favorite Tula Petal Idea? 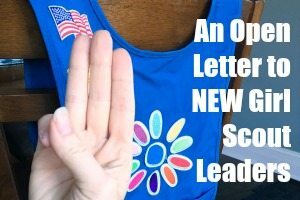 Share your Courageous and Strong ideas below to help a sister scout out!